Quietly spoken lyrics, backed up with The Weakerthans-style of gritty folk, Anchors is a solid sophomore album beginning to end for Sault Ste. 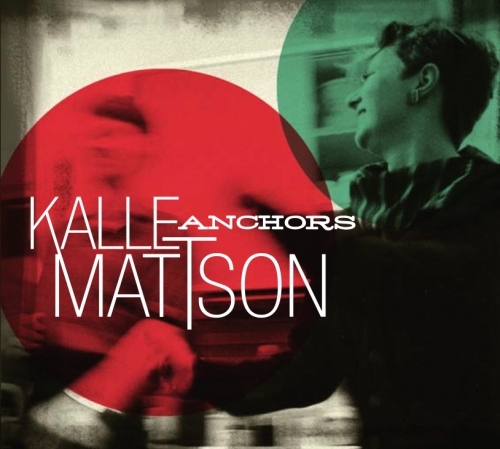 Marie band Kalle Mattson. Lead singer and originally sole member, Kalle Wainio has embraced the pseudonym Kalle Mattson, adding lead guitarist, Rory Lewis, Théan Slabbert on bass, and solid percussion from Jimmie Chiverelli. The band has had their fair share of growth since Wainio released his debut EP, Telescope, three years ago and Whisper Bee in 2009, opening for Canadian heavyweights such as The Rural Alberta Advantage, Blue Rodeo, and Elliott Brood to name a few. A band that must have grown up listening to Bob Dylan, Kalle Mattson has a sound rooted in the folk-rock genre but at the same time, fuses Canadian musicians like Shotgun Jimmie, Baby Eagle, The Weakerthans, as mentioned before, and even Jim Bryson, into a must hear sound. Recorded in the summer of 2010, with the help of Howie Beck, who has worked with Feist, Jason Collett, and Hayden to name a few, Kalle Mattson is one of the more promising bands that I have heard in a while, full of potential, and will have an easy time finding a niche in the Canadian music business. The opening track, “Come & Gone” and other album highlight, “Thick As Thieves,” encompasses everything right about the band. Descriptive yet clever lyrics and a mix between a folk and feisty indie sound. “Cover It All” is the harshest and one of the more darker song off Anchors, letting loose a lo-fi track, filled with distorted guitars, crunchy drums and a different side to the usual quiet voice of Wainio. The clean guitar picking sounds of, “Sunlight” is another extremely strong song from Anchors. A Perfect song for the upcoming long sunny days of summer, “Sunlight” is a perfect inclusion for your Summer 2011 playlist. Closing Anchors, “For Better Or For Worse” is a wonderfully, quiet love song, ending the album on a simple note, leaving Kalle Mattson, a band to watch out for.